Even though the US Fed kept it monetary policy steady on Wednesday, speculation that the "Bernanke put" was coming to a close played a big part in the price of gold's 18% decline this year. But the probable removal of the one way bet that monetary policy will stay ultra-accommodative enough to continue send gold higher is not the only factor that drove gold into bear territory this year. US markets are back at record levels, the clearest sign that investors' appetite for riskier assets has been more than whetted and the hard-asset qualities of gold is no longer held in such high regard. Gold is increasingly seen as just another asset class, with rotation in and out, now that the fundamentals of the gold market are more in line with historical trends and other investment vehicles. Unlike equities, bonds or real estate, gold does not provide any income and the opportunity costs of holding gold is rising. With the advanced economies in recovery, albeit tepid, gold investors are jumping ship. Gold was boosted as QE pushed inflation adjusted interest rates into negative territory, but real interest rates are now rising and global investors are looking for yield. Rounds upon round of terrible economic and geopolitical news including a spreading Syrian war, riots in Turkey and Brazil, a serious slowdown in the Brics, madcap Japanese markets, imploding emerging market currencies and the ongoing malaise in Europe could convince investors to opt for the safe haven that gold is supposed to provide. Successive rounds of quantitative easing around the globe have more than doubled the money supply in most advanced economies but inflation continues to fall and in the US core inflation has even reached record lows. Signs of hyperinflation – gold bugs' ultimate bogeyman – and oft-predicted currency debasement remain absent. In the absence of a catalyst on the scale of global financial cataclysm or the sudden onset of runaway inflation gold is likely to continue to drift lower. Central banks continue to buy up gold, but pale in comparison to outflows from exchange traded funds. In May more than 120 tonnes left ETFs, while central bank buying came to less than 30 tonnes. As most vividly displayed by Brown's Bottom, relying on central banks to gauge future prices can be a mug's game. China's central bank, seen by many as the gold buyer of last resort, has poured cold water on speculation that it is becoming a more active buyer, preferring to keep gold's proportion of the country's reserves exactly where it is today. Even though its reserves are tiny, threats by Cyprus to sell its gold panicked the market and other governments struggling with debt like Italy may be tempted to do the same and since it has $130 billion worth of gold, it could really move the market down. Bars, coins and jewelry purchases continue to rise in China, but the impact is greatly diminished by falling demand in historical no. 1 consumer India, where choking off demand through taxes and other means is official policy and is become increasingly stringent. Historically high prices – gold continues to make new highs in the local currencies of India, Japan, Brazil and others – are choking consumer end-demand, forcing devotees of the shiny metal to buy on dips only. So far in 2013 gold-backed exchange traded products – there are now more than 140 listed around the world including two recently launched in China, 53 of them backed by physical gold – experienced unprecedented outflows of 500 tonnes. Redemptions may have slowed, but no-one predicts a reversal as the like of GLD suffers its 18th straight week of net sales. 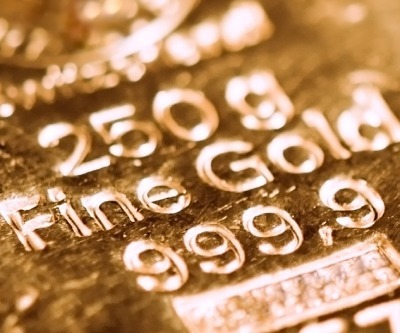 ETFs have played a central role in gold's rise – when the products were first introduced in March 2003, an ounce of gold could be picked up for $330. With the momentum completely thrown in reverse the damage to investor confidence in gold among retail and institutional buyers has been fundamental. A correction after gold's near 20-year bear market had a certain inevitability to it and despite this year's pullback few believe the metal is seriously undervalued. Compared to other commodities including oil, silver, other metals, and stocks gold is now priced close to historical ratios and appears overvalued on a 10-year horizon. Plot gold against the consumer price index starting in 1975 and today's price remains well above the historical average.